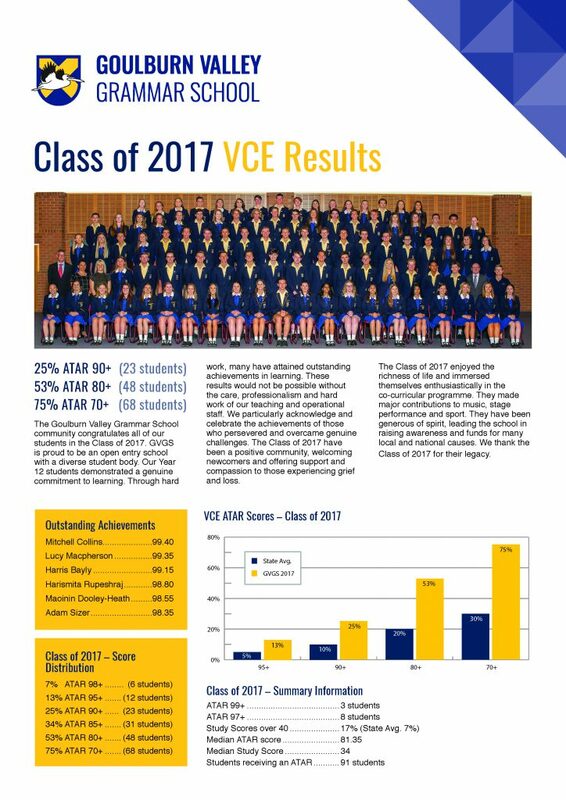 The Goulburn Valley Grammar School community congratulates all of our students in the Class of 2017. GVGS is proud to be an open entry school with a diverse student body. Our Year 12 students demonstrated a genuine commitment to learning.